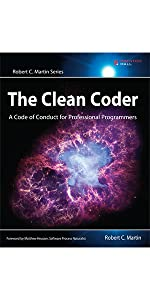 5.0 out of 5 starsGood advice for beginner and experience coder alike. 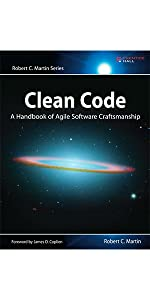 I've been coding for more years than I care to remember and found this book engaging from the start. 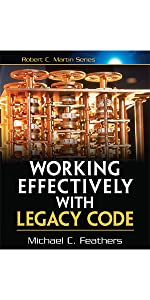 Using the old adage 'every day is a school day' was very true of this , it reiterated some long standing principles and has made me revisit some old code to improve it , something I have known I should have done for some time, but never got around to. 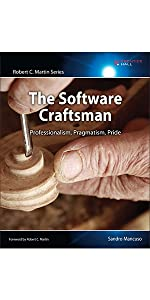 My first book in the track of professionalism was "The Pragmatic Programmer: From Journeyman to Master", I was recommended the book from an seasoned colleague who I regarded highly. I got the book, and devoured it in a couple o f days. The thing I remember while reading it - was that so much in it made so much sense! It all felt natural, every part of it struck home. This book - is no different. Equally funny as thoughtful; the style is anecdotal but challenging. Given the few chances you get to receive such wisdom and depth from a true master, this is a must for anyone aspiring to become a true craftsman. I learnt a lot from this book - not only that you must not forget how others perceive you as a professional, but also that a true professional knows when to say no. This is one of the subjects I would say the book has a leaning emphasis on; how a professional ought to behave and act in hard times. No chapter is boring as it is opened with a good story from the life of Robert C. Martin himself, as well as disclosing his past weaknesses for everyone to see - and rightfully so. We must never forget that the journey starts with a step, and lasts until the end of our life. If you want a book filled to the brim with Wisdom and Laughs. This is the one. What a super book. Read this inside a week, I could not put it down. Uncle Bob has been around the block, and you can tell with his Sage advice. I don't agree with it all, but I have a few grey hairs too, learn a few lessons by making mistakes. Read this - you can avoid many! 5.0 out of 5 starsGreat for teenage coders who think they know everything! Great for teenage coders who think they know everything! Son loved that we got him a gift relevant to his interest. 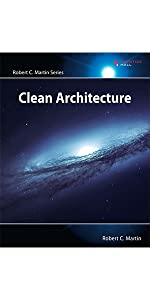 This book provided a lot of inspiration for me as a young programmer. I realised that there are some things that are expected of a professional that I need to fulfill and meet. It prompted me to look at the team that I am working on and work out how to work more proffessionally in that team. I would recommend this to anyone else starting out. 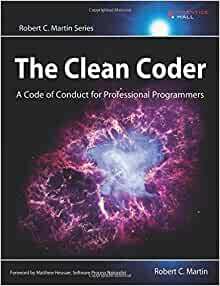 Great read, very well written, I think the guidance in this book is for more than just programmers and applies to any stage of your career, must read and I will definitely be recommending it to all of my colleagues! !